Odd time signatures, experimental and psychedelic rock, balanced by the softness of indie-rock are the characteristics and beauty of the genre known as math rock, and more so the melodic qualities of The Illustrative Violet. The four-piece experimental band comes from Pomona, CA, and is compromised of Jaime Becerra (Guitar/ Vocals), Forrest Rice (Drums), Jairo Becerra (Vocals/ Keys), and Wes Feller (Bass), who strive to make “interesting and inventive” music as a reflection of their influences. 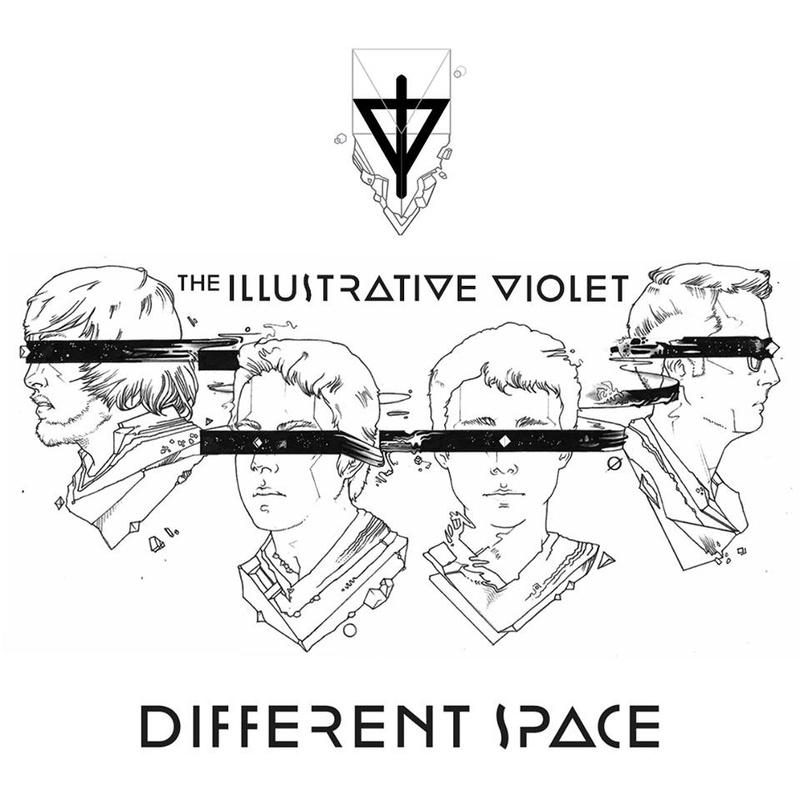 Their 3 track self-released EP, Different Space, released last February, is an exploration of music oddities, with the blissfulness of space rock. The opening track, “Different Space,” is an experimental interpretation of being lost in space, and the opening 10 seconds of drumming and guitar feedback draw similarities to The Police’s “Bring on the Night,” and then immediately switch to a progressive rock intro. The tempo slows down as the vocal approach, and synths brings the astronomical surreal feeling. By the third minute, a more electro approach comes into play, and the remaining minute and a half towards the end of the song prominently focuses on the off-timing and switches between the drums and the guitar, which is heard throughout the EP. “Rainbowize Part II” is a personal favorite and is a beautiful instrumental track that combines various elements, that almost could be seen as a jam session between members, only well-constructed and intricate, yet holds natural fluidity. The most prominent feature would be the drumming, and time switches that stands out against the various synths, and dreamy guitar riffs. There’s no better way to end this short EP than with the 6 minute track “Spectres.” The vocals are a soft muffle between the instrumentation, holding on to this overall theme of being in “space,” while giving more control by the addition of the vocals. By the fourth minute, there is an explosive guitar solo, and background noises guiding the listener on this journey, reflection of a rainbow musically; the rise and fall of its arch, to the vast amount of colors felt through the placement of instruments. What makes this song stand out is it contains the perfection of what made the first two tracks, only combined. Even up to the ending, with the perfectly timed drumming on the hi-hats, this track, and overall EP, leaves one walking on air.